Blackbird is a Uniquely Designed, Professional, Responsive and beautiful Theme with Easy Customization Options built by InkThemes.com. The Customization Options includes using your own Logos, Analytics and your own Custom Feature Texts that can be tweaked easily using Theme Options Panel. 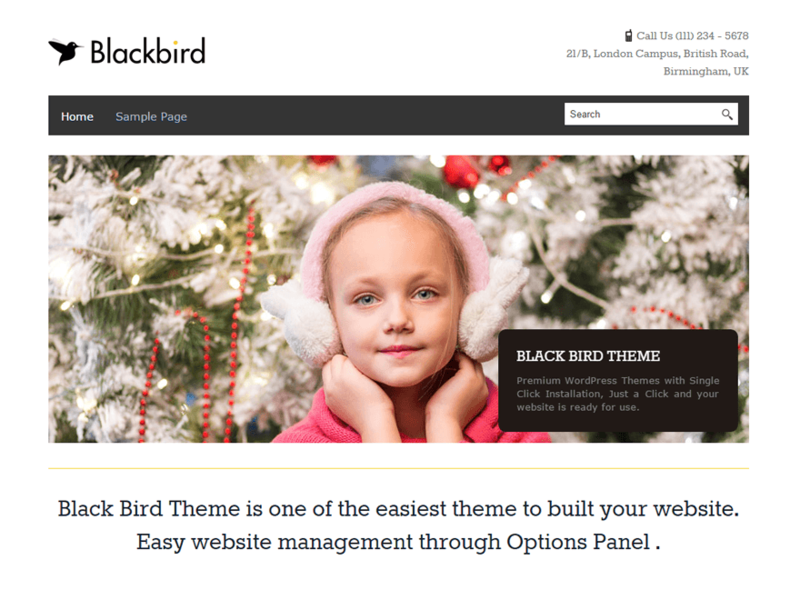 BlackBird Theme comes with a Single Click Intall feature, Just press activate button and your website will get ready with all the dummy content. Just set the content from the Themes Options Panel and you are ready to go. BlackBird by InkThemes.com is suitable for any business or personal website. The Theme can work for various different niches. It includes great style for Blog pages as well.